Evening primrose oil is a rich source of essential fatty acid gamma-linolenic acid, valued for its anti-inflammatory properties and its effect on many health conditions. 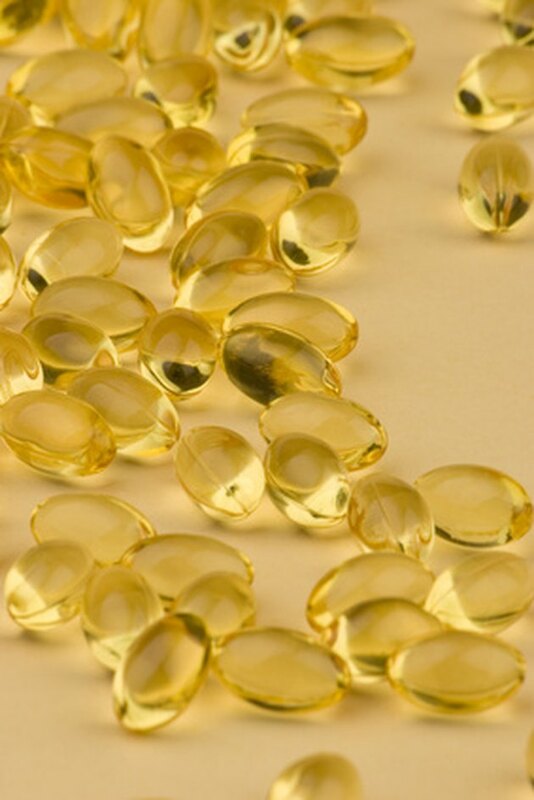 Evening primrose oil is a natural supplement that you can purchase over the counter. While it has been used for some women's health conditions, its studied effects on the menstrual cycle have varied. The seeds of the evening primrose plant are rich in a compound called gamma-linolenic acid, an essential fatty acid. Evening primrose oil is obtained from the plant's seeds and sold as a dietary supplement. Gamma-linolenic acid, or GLA for short, is an omega-6 fatty acid not often found in most people's diets. GLA is a natural anti-inflammatory. It is available over the counter, and has potential benefits for many medical conditions, including some women's health issues. Evening primrose oil has been recommended for several women's health conditions, including management of PMS symptoms, menopause symptom relief and the management of breast pain, called mastalgia. The area for which it shows the most promise as related to women's health is mastalgia treatment. In some European countries, evening primrose oil is often prescribed first before other medicines for mastalgia treatment. The University of Maryland Medical Center also reports while there may be some anecdotal evidence for evening primrose oil and hot flashes, there is little scientific evidence to verify its effectiveness. It may, however, help relieve some PMS symptoms, including bloating and mood swings. While there is no mention of evening primrose oil's effect on the actual bleeding associated with menstruation, it may relieve some other symptoms associated with a woman's menstrual cycle. However, like its use for menopause symptoms, much of the evidence is anecdotal. Beth Israel Deaconess Medical Center reports that in some of their reviewed studies, evening primrose oil showed promise for treatment of some menstrual disorders; however, the studies were also small and contained many flaws, limiting their reliability. The National Center for Complementary and Alternative Medicine reports that in the better designed studies, the supplement has shown no significant effects on PMS symptoms. While the research is limited, it does not mean that evening primrose oil is useless when it comes to treating some of the symptoms associated with a woman's period. However, it is best to check with your doctor before starting any type of supplement. While evening primrose oil is generally safe for most people, it can cause digestive upsets and may interact with over-the-counter painkillers. These include ibuprofen and aspirin, both NSAIDs. The University of Maryland Medical Center reports that most adults benefit from a dose of between 2g and 8g of evening primrose oil daily; however, they recommend you choose a form that contains 8 percent GLA, which is the standardized form.